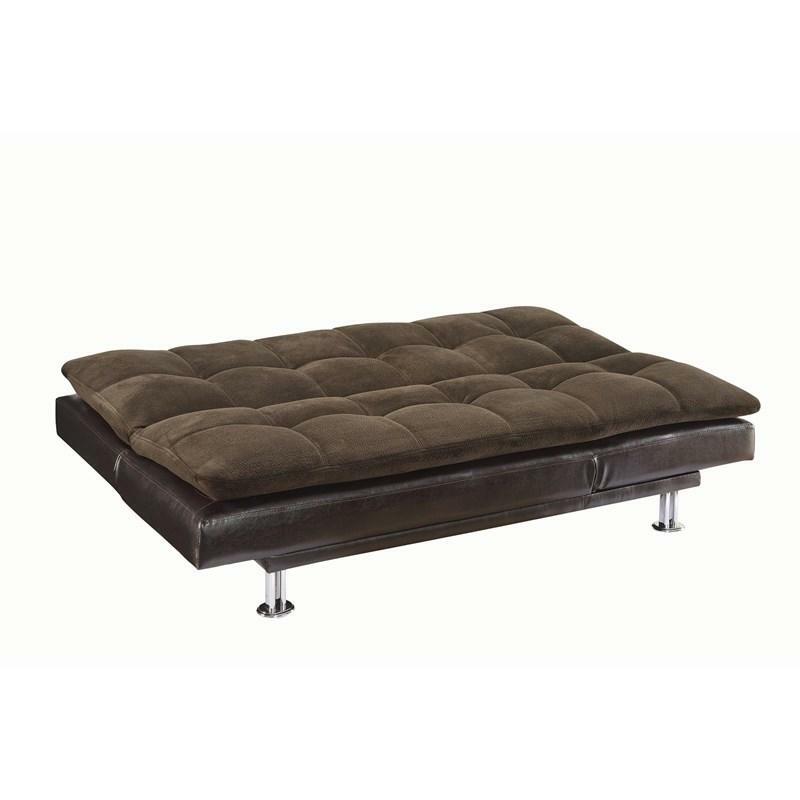 This Coaster Furniture millie futon is wrapped in a two-toned brown upholstery, textured padded velvet. 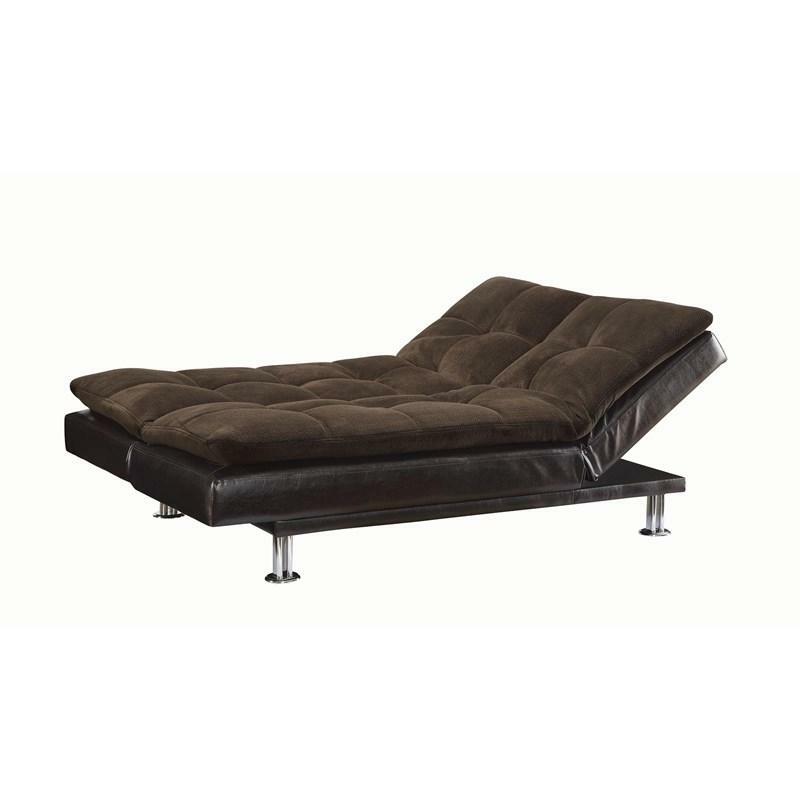 It can be used as a sofa or a bed. 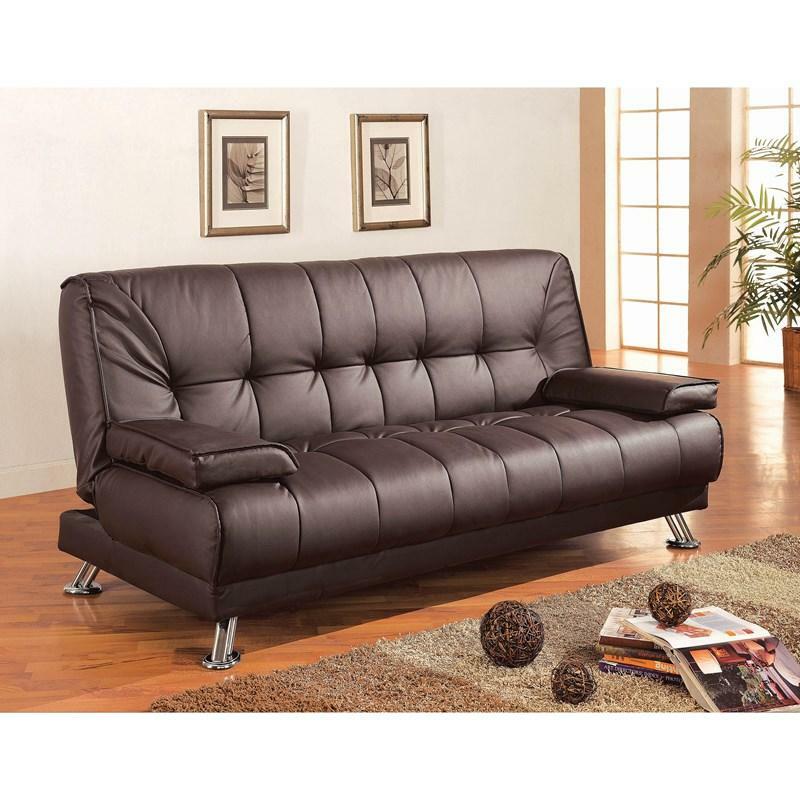 Extra plush pillow-top cushions provide comfort and support for either configuration. 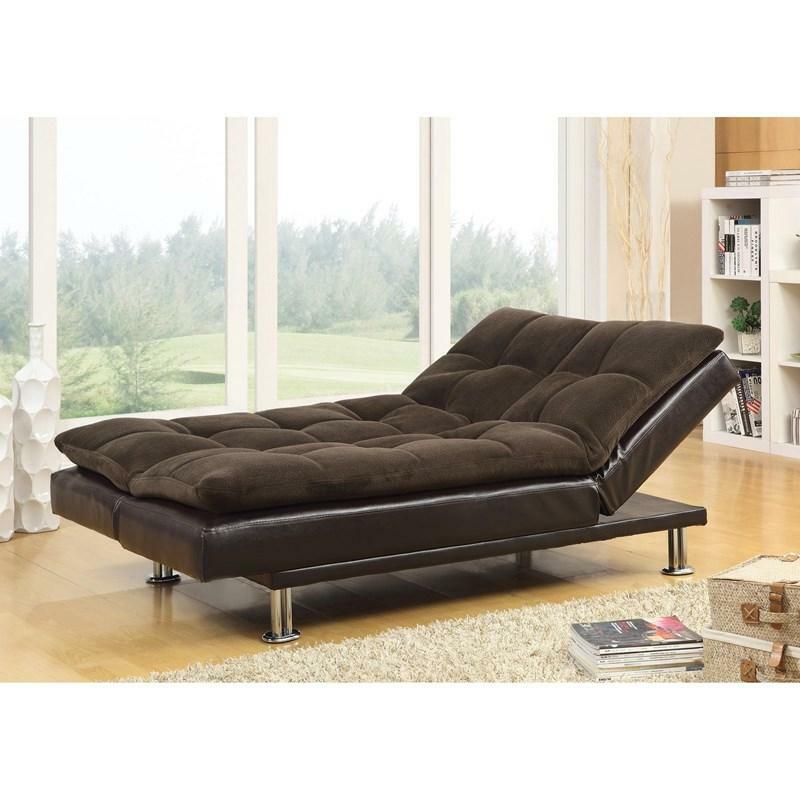 Its legs are of chrome finish. Volume 21.14 cu. 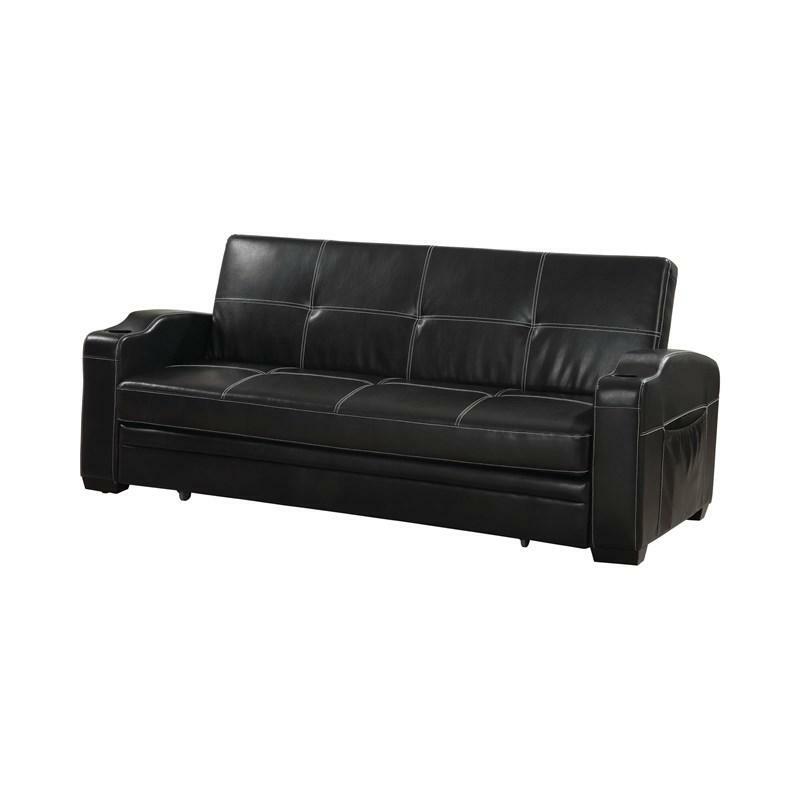 ft. / 0.60 cu. 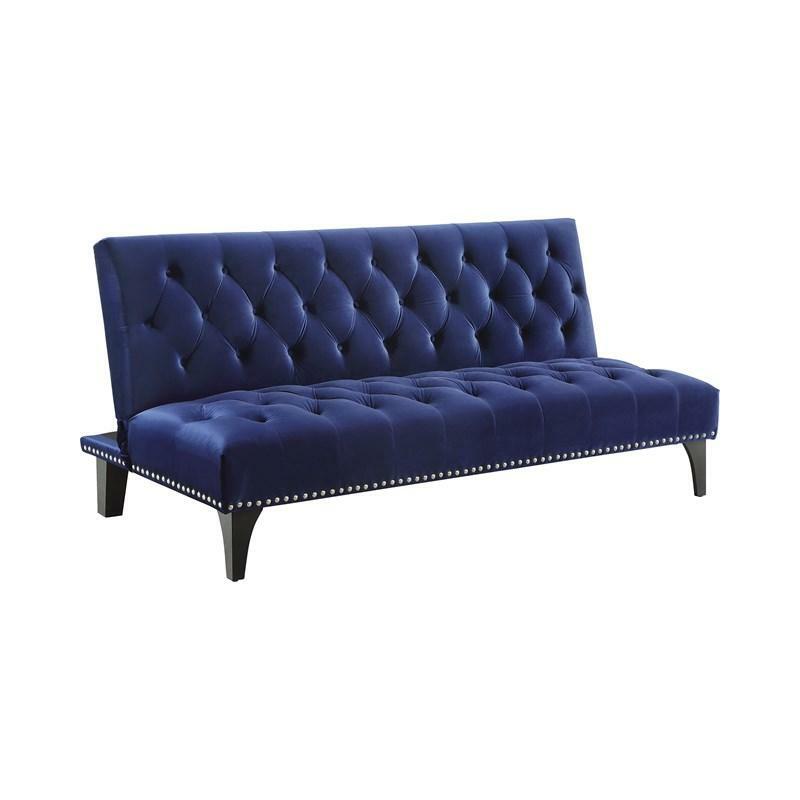 m.
Add a touch of retro-modern with this Coaster Furniture tufted sofa bed with tapered and rounded cone legs. 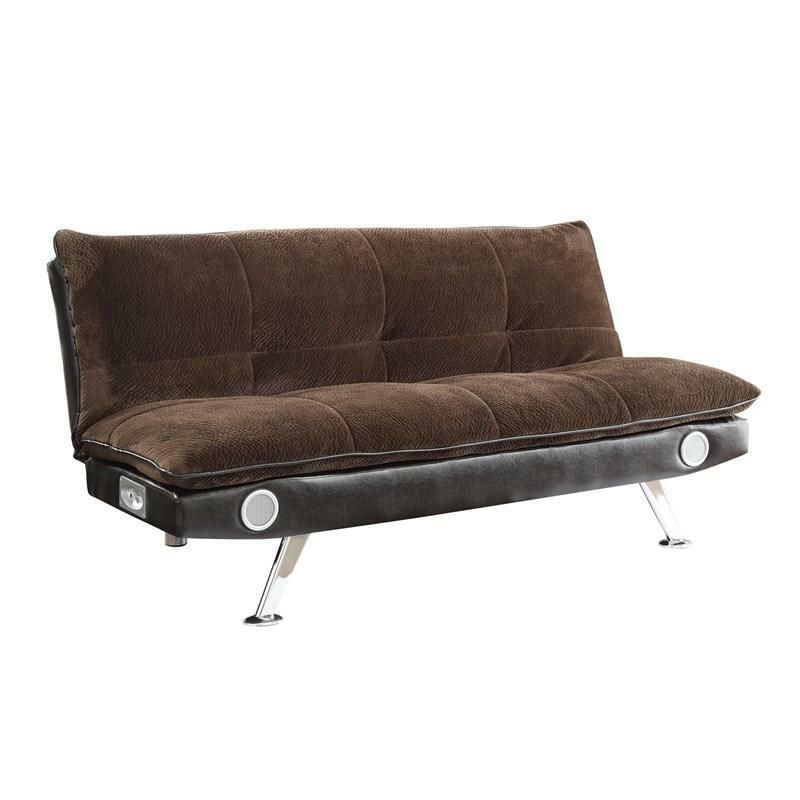 Two adjustable arms serve as excellent headrests when lounging around. 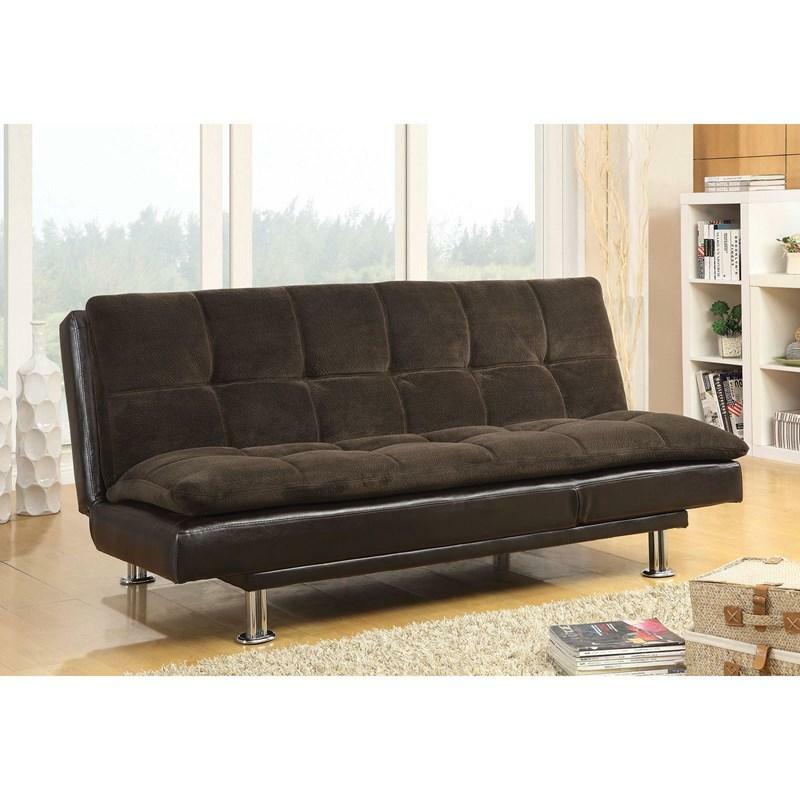 This Coaster Furniture Modern brown sofa bed has a padded textured velvet seat, leatherette base, and tufting. 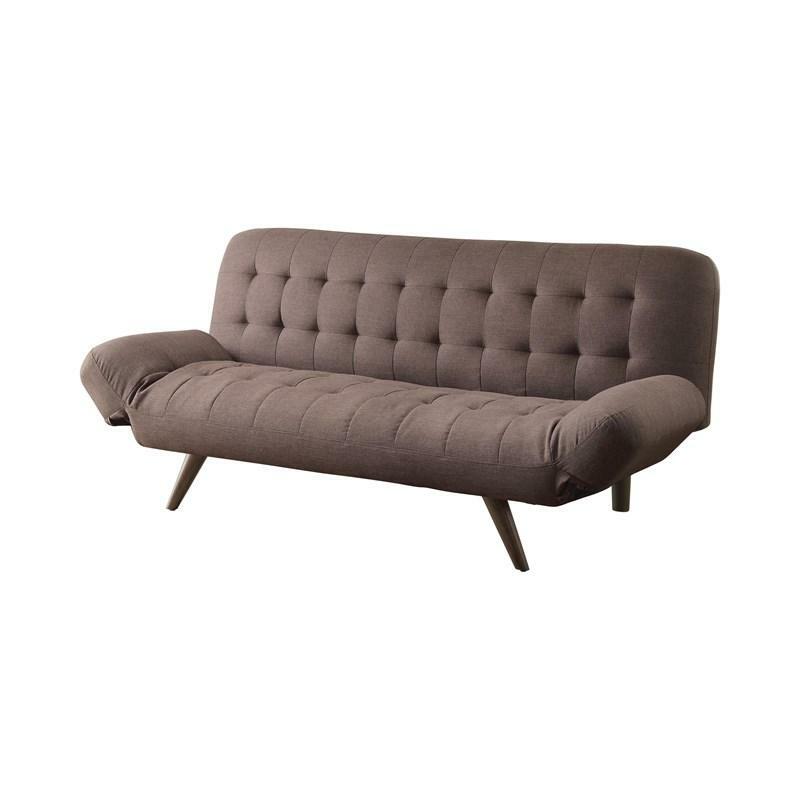 This sofa bed is the perfect addition for small spaces! 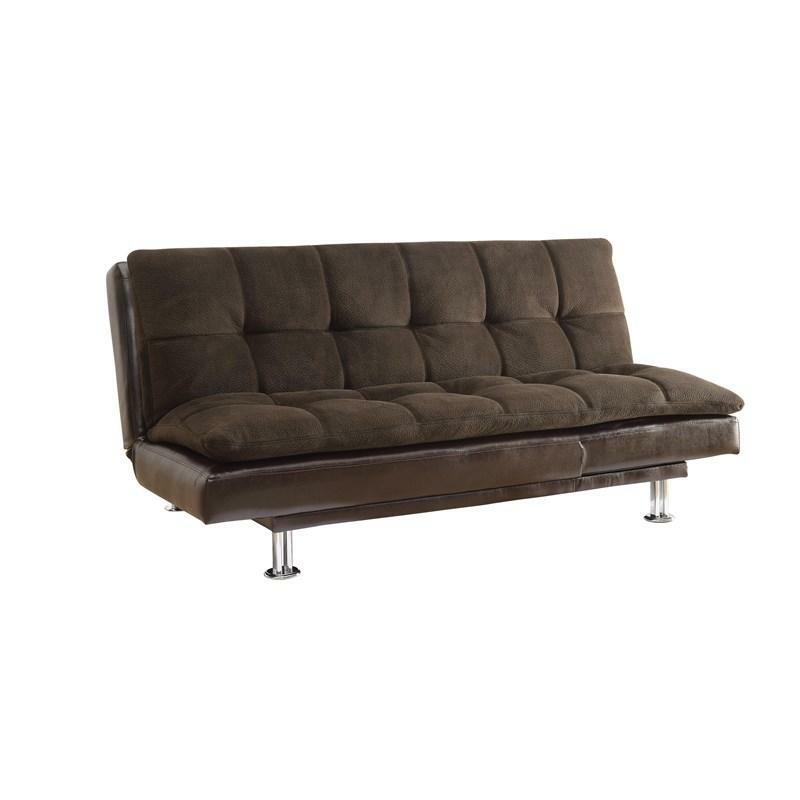 Designed with tufted back and seat, this Coaster Furniture sofa bed has solid brown wood legs and plush velvet upholstery. 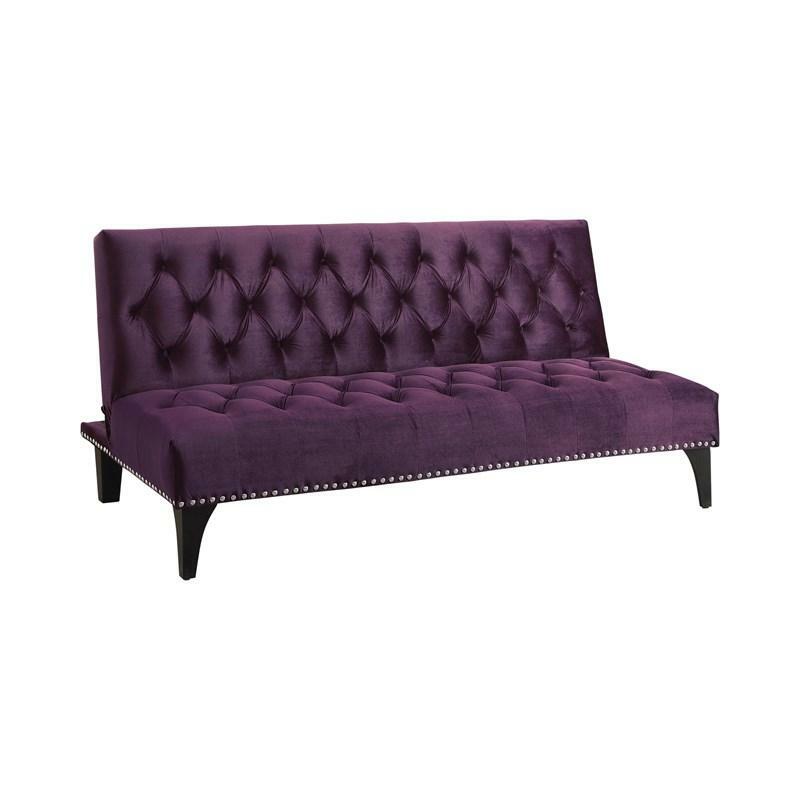 Visually interesting, this set will be sure to dress up your decor. 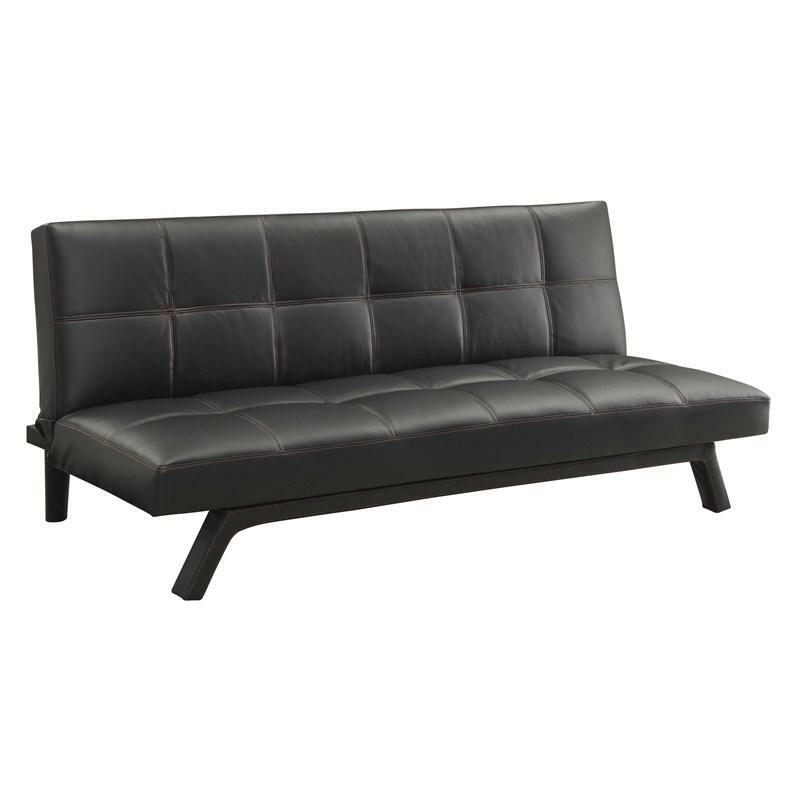 This contemporary black sofa bed by Coaster Furniture features track arms with built in cup holders on both arms and is wrapped in black bonded leather. Assembly is required. 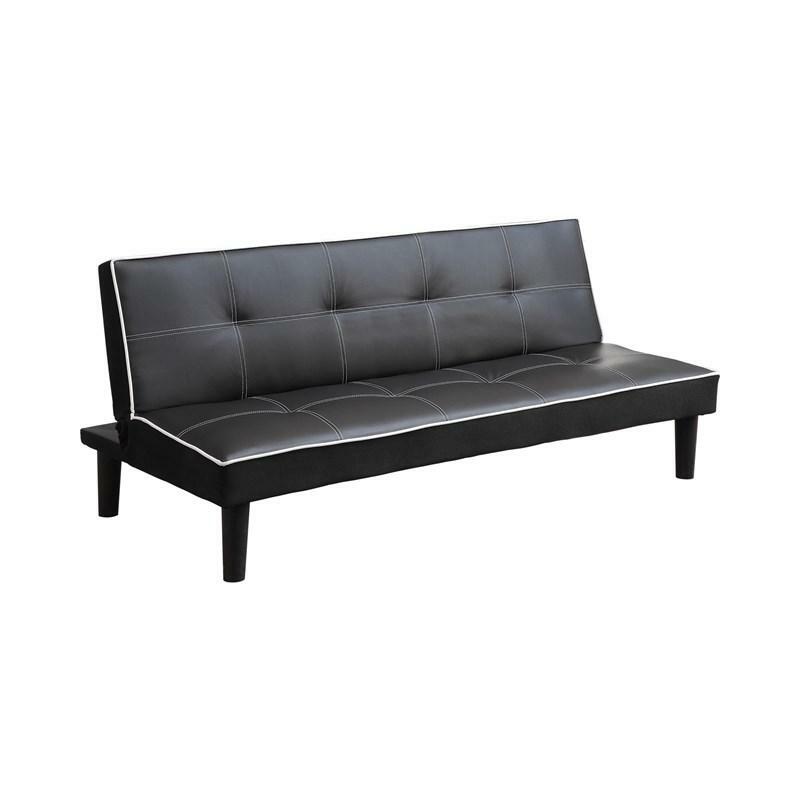 This contemporary styling sofa bed by Coaster Furniture features contrasting white stitching on durable black vinyl. 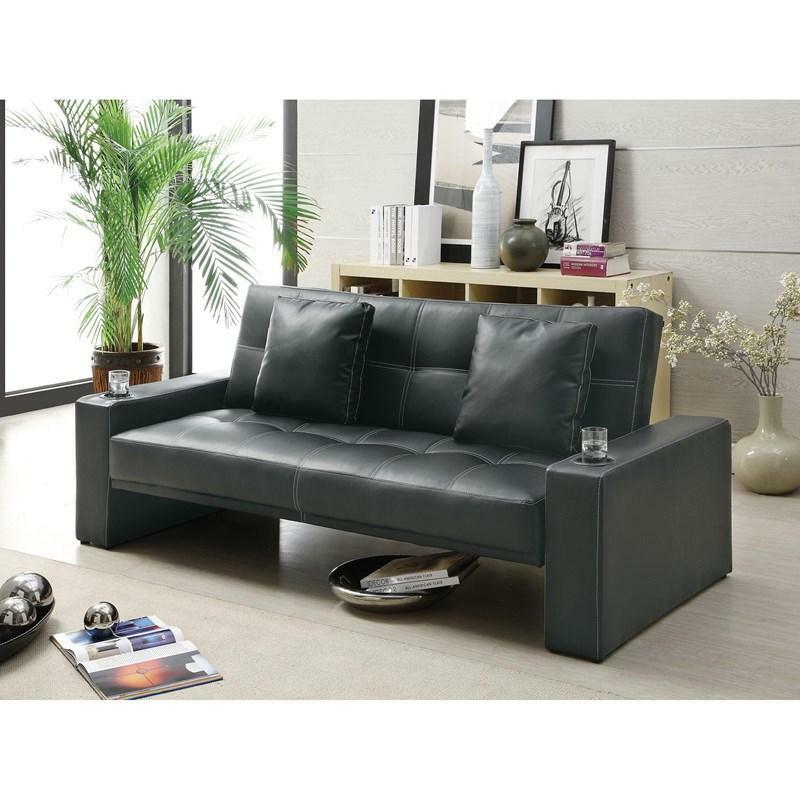 It also features a storage pocket on arm, cup holders and a smooth easy pull out mechanism. 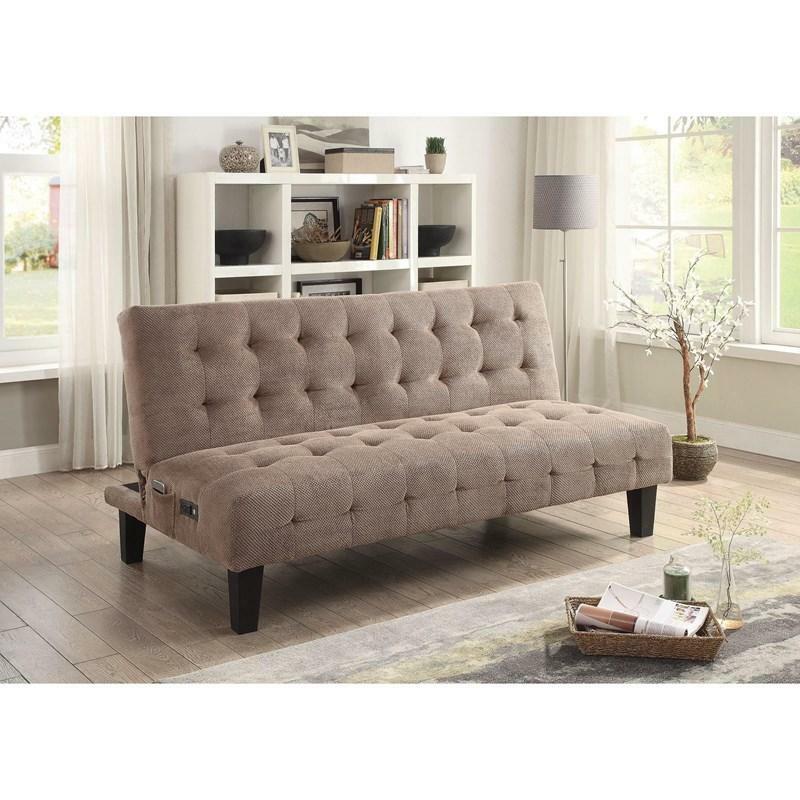 Sofa bed upholstered in taupe textured chenille with storage pockets and power outlet with usb. Sinuous spring decking with high density foam and kiln dried hardwood frame. 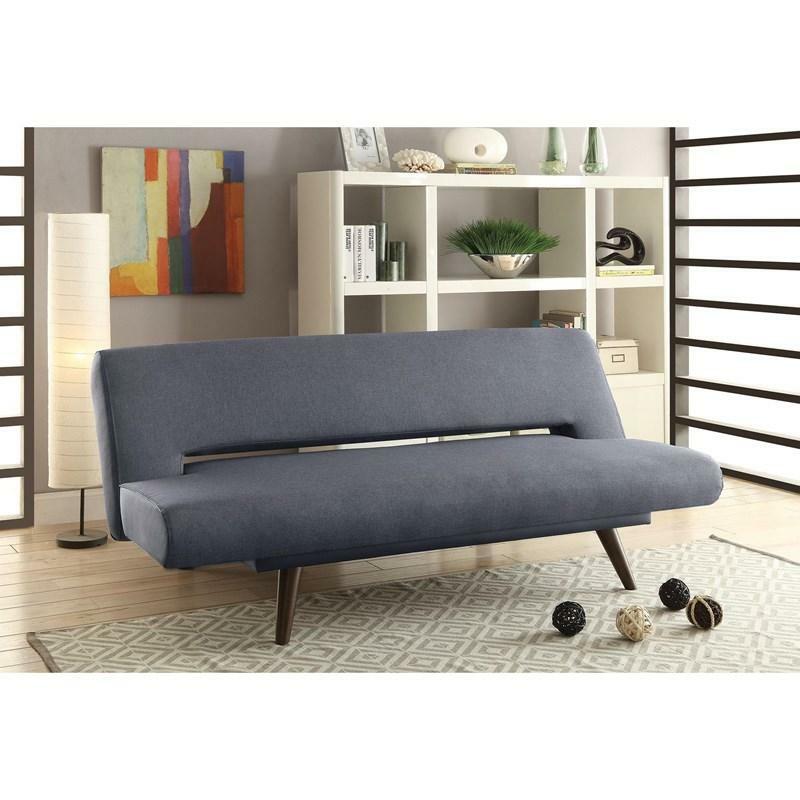 Sofa bed is upholstered in grey flax fabric. Two accent pillows included. 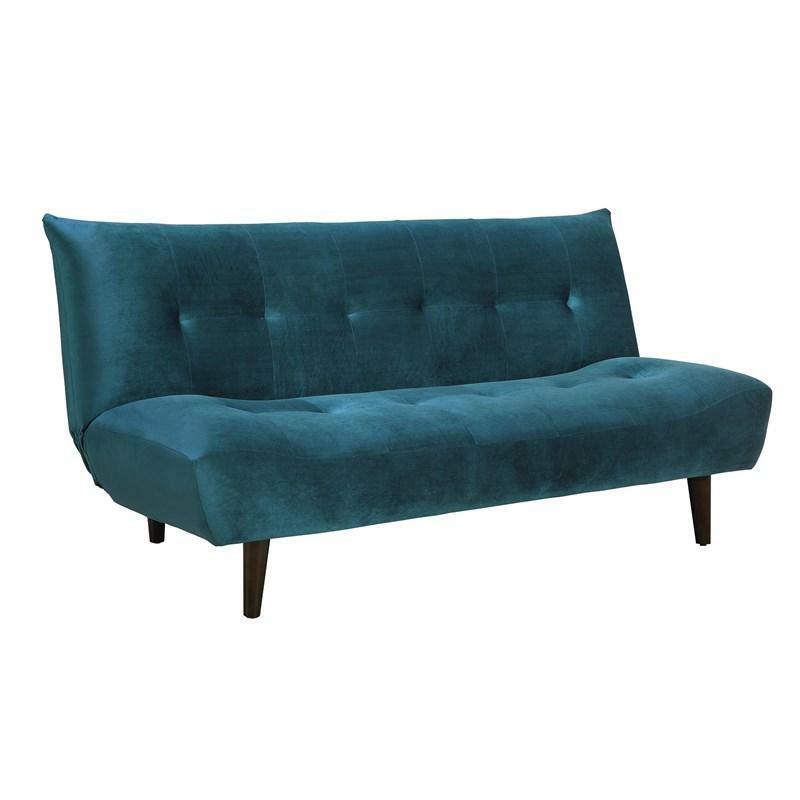 Features solid wood legs and a kiln dried hardwood frame. 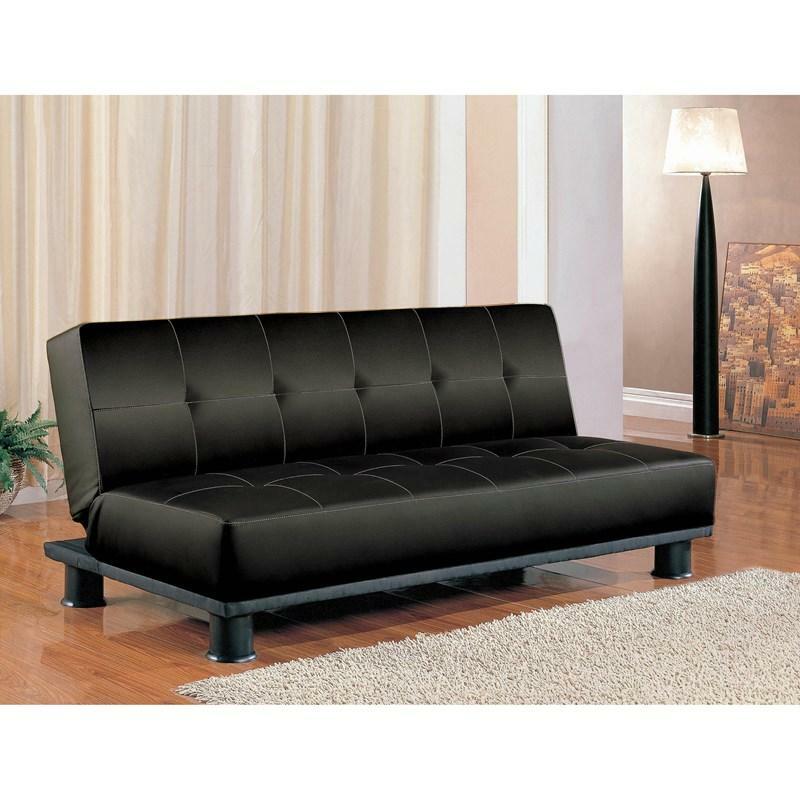 Add contemporary style and seating space to any room with this ultra padded sofa bed by Coaster Furniture. 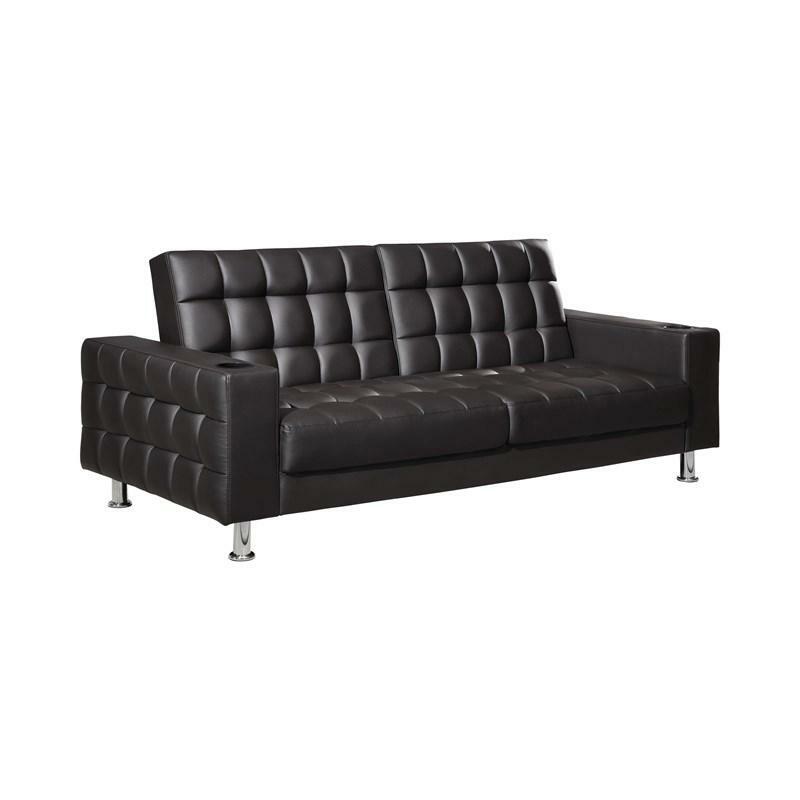 With dark brown quilted seating in leather-like vinyl, this sofa bed features modern chrome legs and one cup holder on each arm. 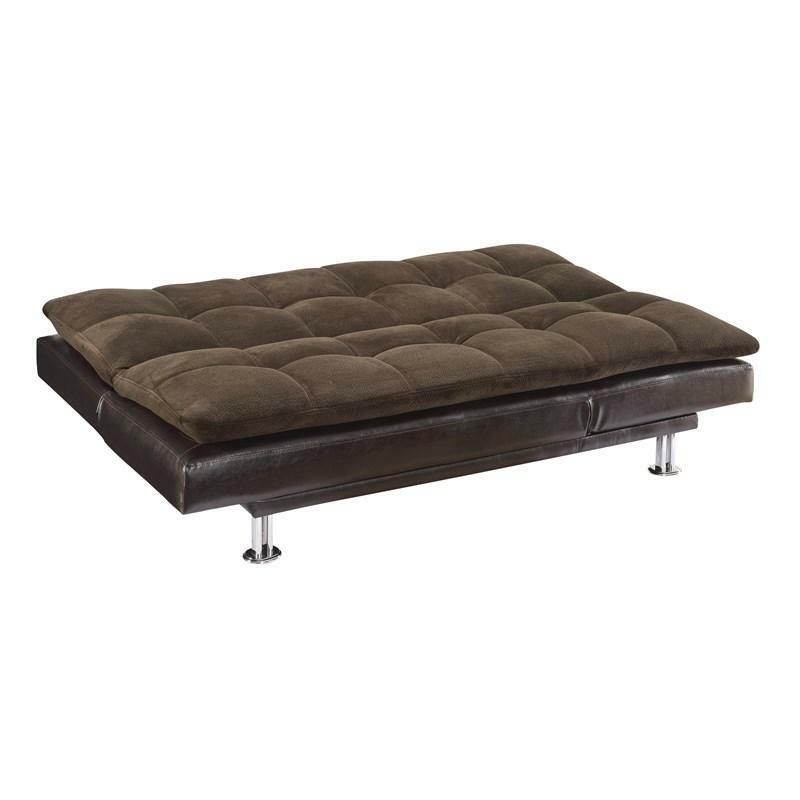 This Coaster Furniture futon converts from sofa to bed. 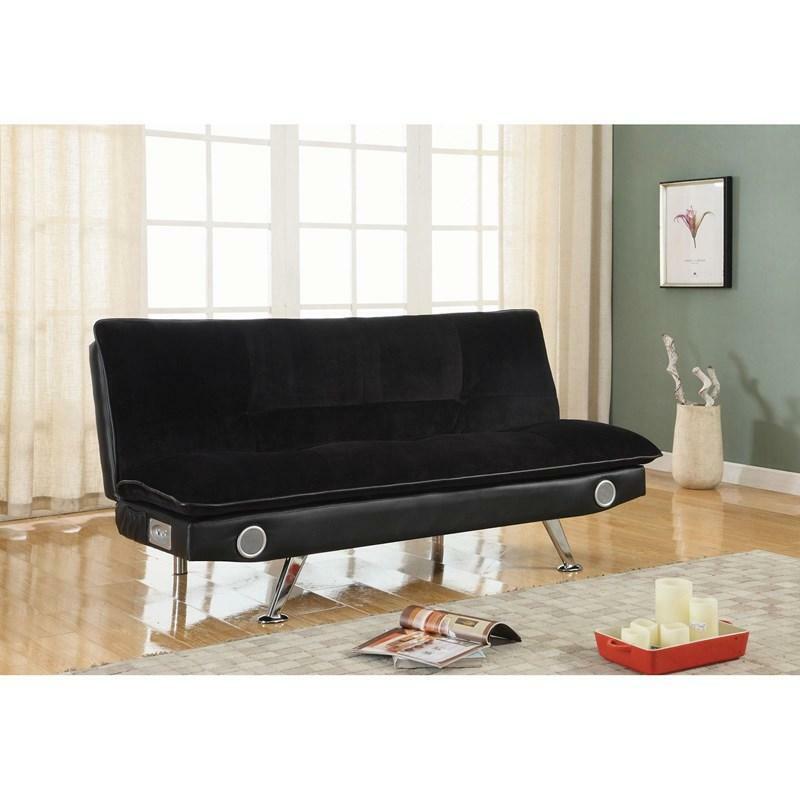 It features a metal frame and is wrapped in black upholstery.